It's Fathers' Day this weekend on Sunday Sept 1- and with the weather forecast to be a cracking Spring day up to 24 beautiful degrees - what better place to head than the healthy outdoors of the Warburton Valley. Dad will get hungry - so see the offers below. And on this special day - don't distract yourself with tweeting or uploading instagram pics of your food - just enjoy the day, with the family and focus on Dad! For poems about Dads and a sample of a gift book for Dads, see www.soniajane.com. This gift book, Messages from the Heart for Dads, may also be purchased at the Waterwheel/Information Centre. 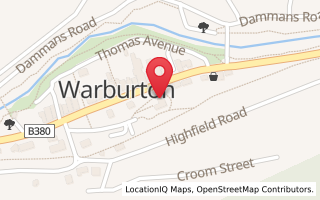 The Water Wheel is open 10am - 4pm - and is home of 'Warburton Handmade' and The Artisans Art Gallery - local produce, lots of gift cards and beautiful artworks - find a gift for Dad on Sunday. Little Joe Wood-fired Pizza - Celebrating Fathers' Day. Bookings 5966 5635. Open from 9am for breakfast, lunch from 11.30am, dinner until 9pm. Specials this w/end. Pide with smoked salmon and pickled cucumber. Ox-Cheek cooked in sherry with a nut pilaf. Prawn pizza with tomatoes and basil. By the glass, local and just released AirFion Pinot Rose. Bulong Estate’s Chef Yoshi has created a menu specially for Father’s Day. Three courses for $60, children’s menu available for $18. Father’s Day Menu available on our web site – www.bulongestate.com.au. Bookings essential – 5967 1358. Book your Father’s Day Lunch or afternoon tea at The Patchwork Tea House and receive 15% off your food and drink for the whole group booked in. Call 03 5966 2400 to book. He’ll be thrilled with our fabulous Devonshire Tea with homemade jam and fresh cream. Always serving High Tea at The Old Tea Shop. Step back in time and enjoy 3 tiers of treats and good old fashioned service for only $25pp. Bookings essential (at least 24hrs notice), please telephone 5966 9603. Rayner's Stonefruit Orchard - 03 5964 7654 - Hearty cooked brekky for Dad - serving ALL DAY Sept 1st. Peach Cafe, Rayneys Orchard, 60 Schoolhouse Road, Woori Yallock. 8.30am - 4pm. $28 per person. 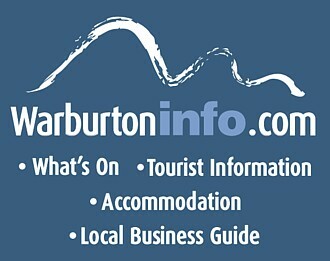 We hope you enjoy your Fathers' Day visit to The Warburton Valley.